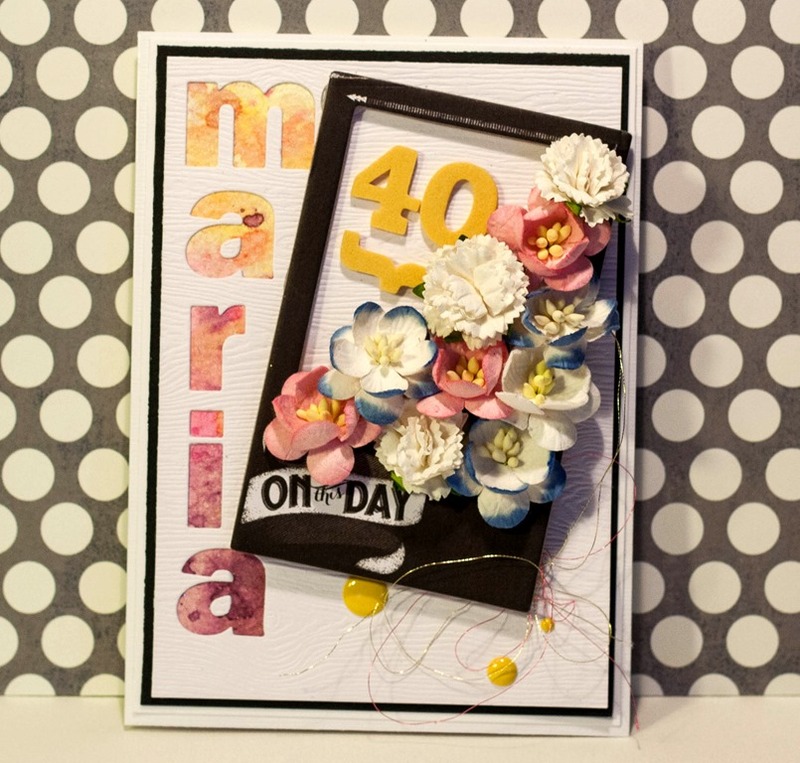 A friend of mine asked if I could make a card for her sister who turns 40. Of course I could. 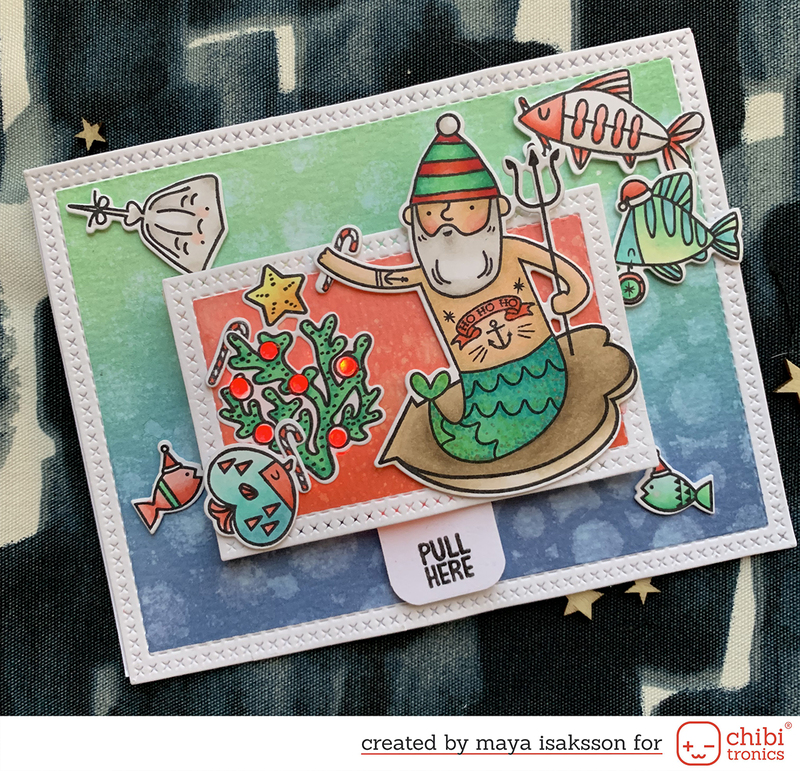 I used some of the lovely stuff in my DT-box from En liten butik. 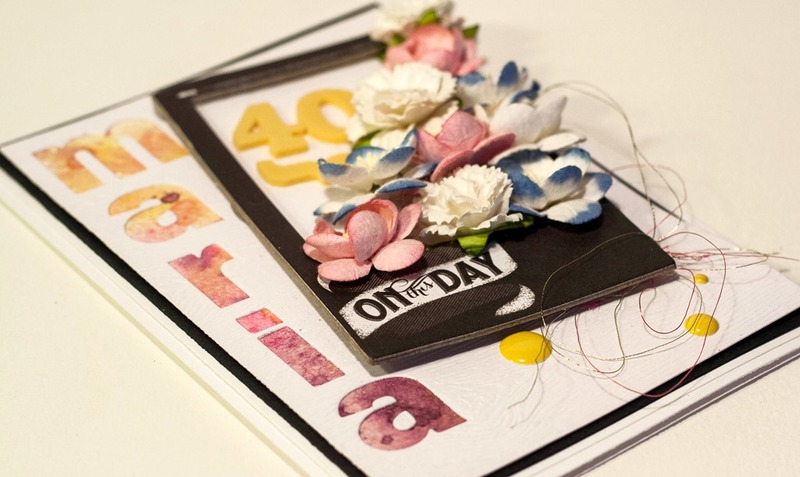 The instructios was to make a card that had the birthday girls namen on it, the age and some flowers. Easy peasy. Well except for the flowers. But I think it turned out great. I hope the birthday girl will like the card. I personally love the frame with the flowers and all the colors with the black and white. And I used some of the thick woodgrain cardstock that looks so nice. I had some scrap pieces left and it makes the card extra special.